Because of the remarkable amount of interest in this event, the GWCCA has partnered with local news outlet WSB-TV to broadcast the event to as many viewers as possible. Coverage begins at 6:30 a.m. There will not be a public viewing area, so we recommend you tune in! The implosion will take about 12 seconds - it's quite fast! Once the Georgia Dome is imploded, assessment and street opening will begin. Traffic control is designed to be opened in stages. Several factors can affect how quickly streets are reopened including, wind, dust and debris discharge. Police officers will be stationed to minimize traffic impact and to ensure a safe implosion. Cleaning up the implosion site will take around 3 months, and 97% of the materials will be recycled. 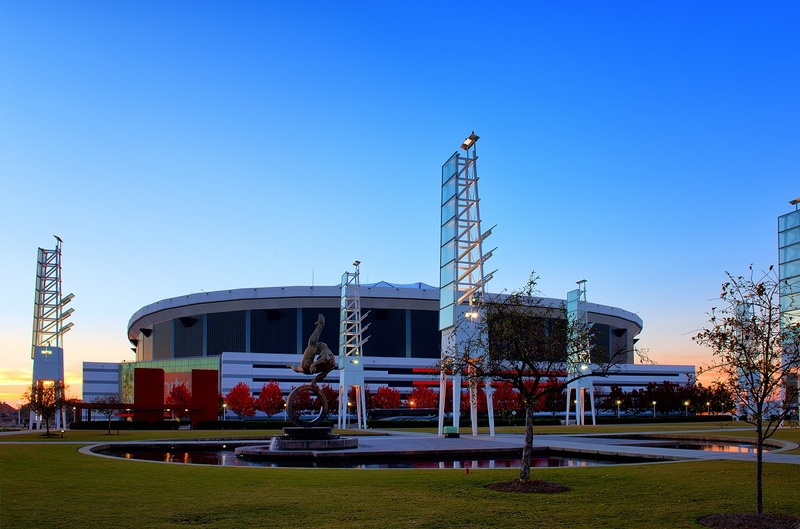 The site of the Dome will eventually be redeveloped to include The Home Depot Backyard, a parking deck, and a hotel. For a complete list of FAQs, visit the Dome's website.